The Mist.io tagging feature allows you to identify and classify resources by associating descriptive metadata. 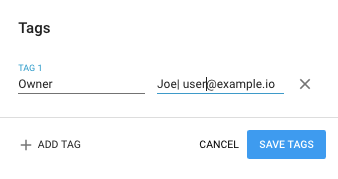 Mist.io's tagging feature allows you to easily identifying and group resources across cloud providers. 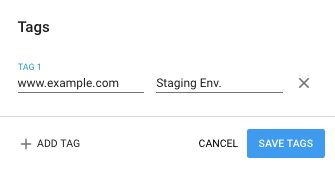 Tags can be used with all Mist.io supported clouds, including AWS, GCE, Classic Azure and Azure Resource Manager, DigitalOcean, Packet.net, vCloud, vSphere, and more. 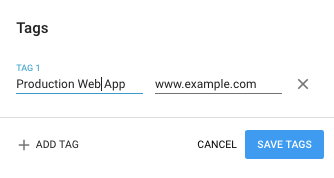 Tags created in Mist.io will only appear in Mist.io. For example, tags created using the Mist.io platform and applied to EC2 instances will not appear in the AWS portal. And, EC2 specific tags created in the AWS portal will not appear in Mist.io. 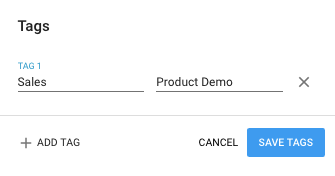 The same tag created in Mist.io can be applied to resources across cloud providers, making it easy to group infrastructure that spans many providers. 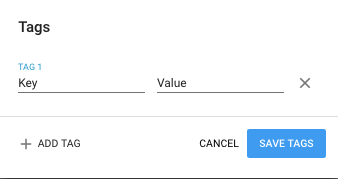 Resource tagging helps you manage resources at scale by providing the ability to identify, classify, and locate resources for management and billing purposes across all your clouds. 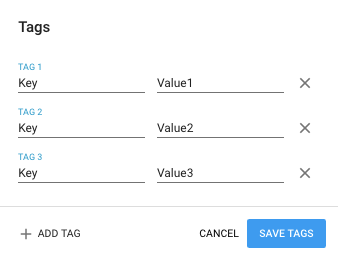 Mist.io's tagging filter provides a way to both locate tagged resources and validate that tagging standards in your organization are implemented properly for efficient resource allocation and cost-control.